Sure, there’s Panera, Timmy’s and Starbucks, but Apple Wood Cafe offers something those places don’t have: heart. Owners Becky and Mike Morgan opened Apple Wood Cafe in 2012, and their attention to detail shows. 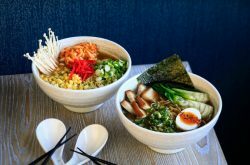 In the Village of Williamsville, there are plenty of places to get your standard soup, salad and sandwich fare, but the Morgans do it all with a modern twist and a whole lot of care. The cafe is small (and uber cute! 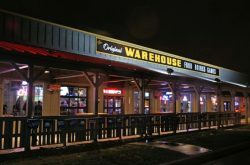 ), and, if you frequent that part of the Northtowns, chances are you’ve driven past it many times without even seeing it. It’s one of our hidden gems, tucked into Main Street near South Long Street. 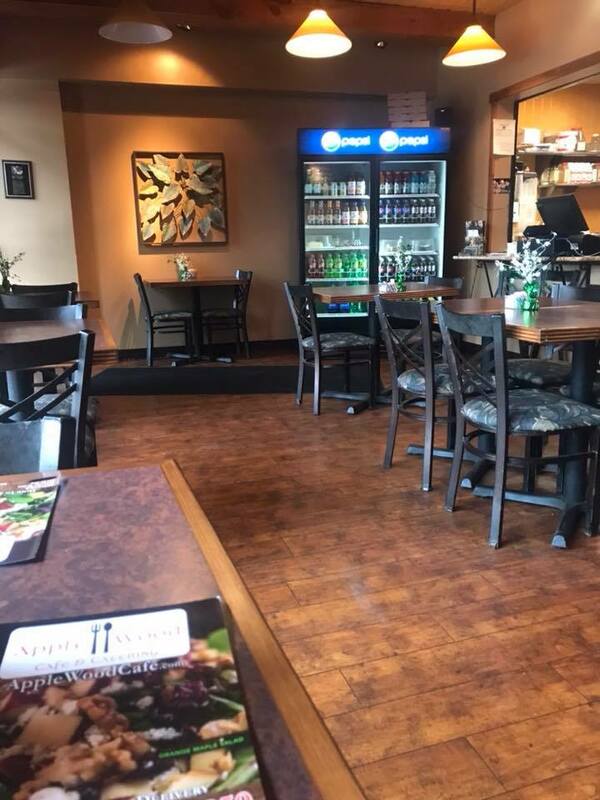 It’s the perfect place to meet a friend for lunch – which is what I recently did – or to grab some takeout on a lunch break. The interior is cozy, painted in warm hues, and inviting. A smattering of tables (seven, to be exact) provide a pleasant place to enjoy a sit-down meal. It’s warm, too, an important point not to be overlooked during a Buffalo winter. Once we settled at our table, we perused the menu, where we saw the full extent of the soups, salads, small plates, flatbreads and sandwiches and wraps. We ordered the pepperoni flatbread ($8) and the grilled asparagus flatbread ($8). Our food came fast, and service was friendly and attentive. 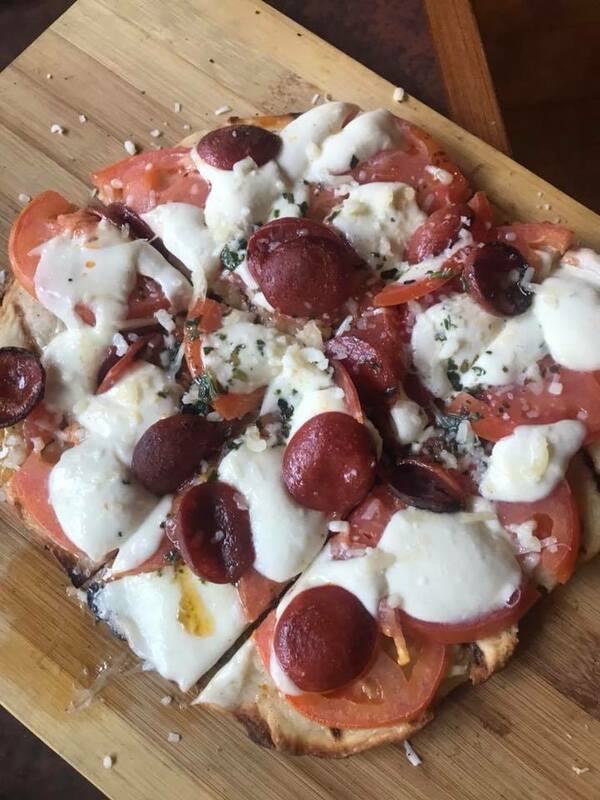 The pepperoni one came with ample spicy cup pepperonis, lots of tomatoes, fresh basil and fresh mozzarella, piled onto a nice flatbread base. It was delicious. 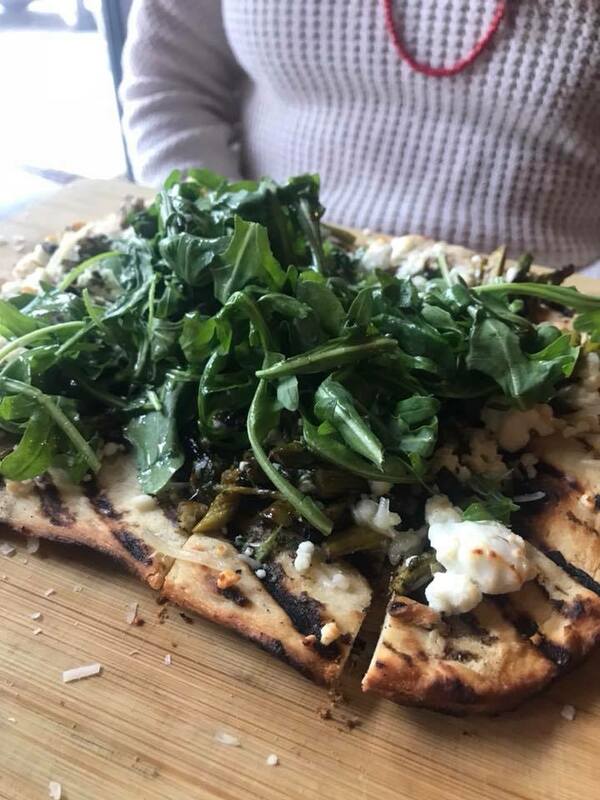 My friend was just as pleased with her flatbread choice, which came with grilled asparagus, red onion, goat cheese basil pesto and baby greens. 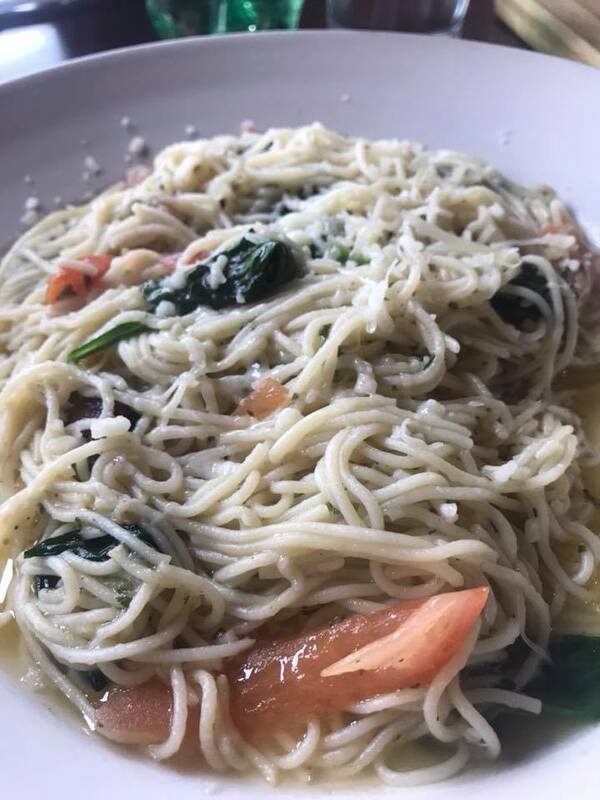 Additionally, I opted for the roasted garlic cappellini ($9), a pasta plate with tomato, baby spinach, roasted garlic cloves, asiago cheese and lots of olive oil. The pasta was so overdone it was mushy in texture, but the flavor was on point. A few minutes less cooking on the pasta, and this would be a winning plate. Interesting items I’d love to try sometime on a return visit include the pan-fried crab cakes ($10), served with baby greens and tossed in a citrus vinaigrette, and the roasted pork belly sandwich ($12), featuring maple and brown sugar barbecue pork on a brioche bun with slaw. The soups – French onion and herbed cauliflower – also looked excellent. Desserts include a full spread of housemade items, including cheesecake and a variety of pies. Gluten free eaters, take note. 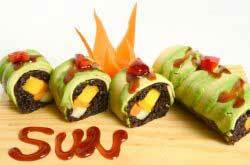 The menu is extremely friendly to those who stay away from gluten. Upon request, more than half the items can be made gluten free. 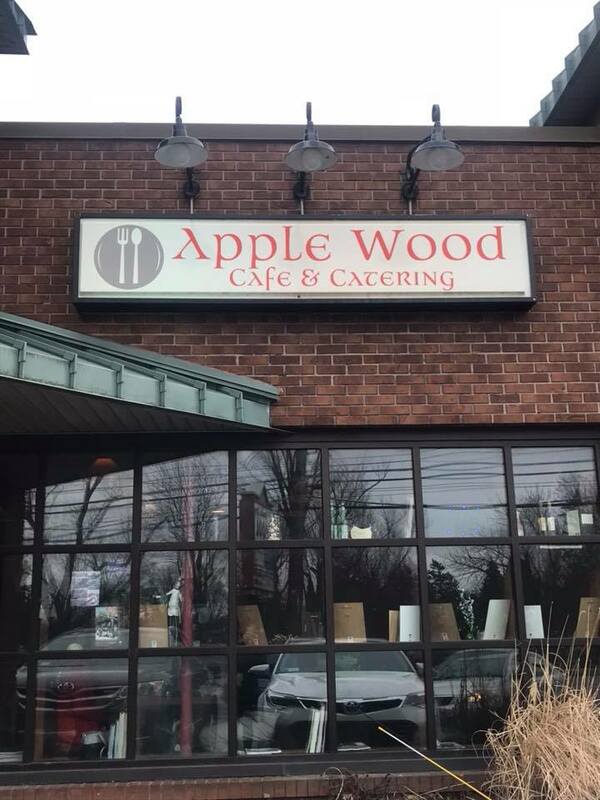 For more information, visit www.applewoodcafe.com, or call 716-630-5950.